This morning Daniel woke up with alot to say. Seems his dreams was very exciting and he felt I needed to know all about his adventures. LOL. As I listened to him babble away I thought about how far his babbling has come since those first coos and ahhs. Even from a few months ago his babbling is very different. Yesterday, my sister and brother were bugging me about when he's going to talk. I was like...What? He's already talking. Can't you hear? Seems they can't. I guess since I'm the one listening to him 24 hours a day I'm the only one to notice the difference in his babbling. Daniel can whisper secrets, yell when he's annoyed or ask a question all in babble. He's also very fluent in body language like reaching when he wants something, raising his arms to be picked up or throwing his body back and down when he's mad. I'm not a fan of that move but it's very clear what he thinking. It's weird to me that others can't figure it out. But between me and you I find the words not as exciting as the sounds he makes. 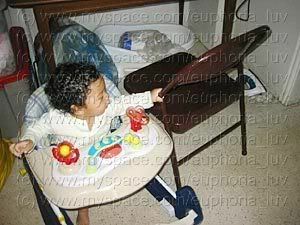 No one blogs about the pre-word sounds which is a shame cause their so interesting. Daniel has gone thru so many interesting versions on the Mama and Dada norm. He's currently on his Ba stage...not baba..just plain Ba. He also does something I affectionally refer to as fish talking. It's like making fish lips with a soft pa pa sound. I have a vid of him doing it I need to upload to YouTube. Then there's the Mmmmm. He has about 5 different types of Mmm's each meaning something different. 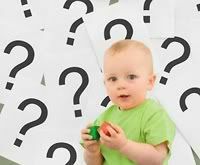 Many people think babies communicate when they finally say their first words. But all parents know babies have been communicating since birth or even while in the womb. I sorta got the feeling of what Daniel liked or didn't like when I was pregnant and alot has remained the same. So to me he has always been "talking" even without the first official words. 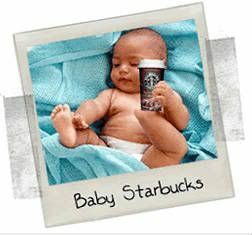 Starbucks as a Parenting Spot? So I was reading mommy blogs and came across a post from a mom about "When we need a break". I won't share the link to save this mother from other mothers like me who thinks she's just a tad bit lazy. You see, this mother takes her kid to Starbucks when she needs a "break" from things and want to spend time with her child. Hmm. I'm going to open myself to comment backlash by saying... of course it had to be a white mom who wrote this. White mothers are... umm... interesting if they think going to Starbucks counts as spending quality time with their child. Maybe other black, hispanic, asian, etc moms also take their kid to Starbucks but so far I haven't meet one. I've seen this, I read about this but I'll never agree to using Starbucks as a parenting spot. Why would I take my child to Starbucks? What's the attraction? I just don't see it. Maybe cause I'm a black mother, or maybe cause I'm a older mother or maybe cause I'm a West Indian culturally raise mother...whatever it is...I think spending time with your child means going somewhere child friendly and fun. Something that will stimulate your child and creates bonding memories. I still try to have date wednesday with Daniel even if you don't go outside. I try and find something that puts the focus on him. Maybe we get something baby related, go somewhere baby friendly or just hangout out at home cuddling. But whatever we do I can tell you it doesn't come with a "One Grande Mint Mocha Chip Frappuccino with Extra Foam". It's ironic that I saw this cause I've been dealing with this issue ALOT recently. Now that the weather is warmer I've been taking Daniel outside more. This of course bring us back into the public eye and all that come with it. Add to this my interesting need to connect with other mothers via social events. Both normal activities any mother does right? 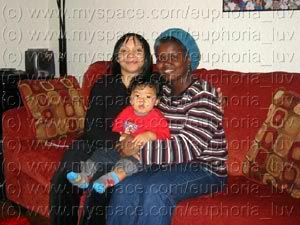 Yet being a black mother of a bi-racial child seems to add some flavor to what should be normal mundane things. I've been noticing a common feel between what people say to me in person and what people say to me online. Even some of the comments left here on BBN have the same feel / tone/ wording. There's been some odd things said about Daniel's appearance compared to mine. For the most part I'm prepared for it and come to expect it. BUT the "he looks just like his father" comments are the ones that make me grind me teeth in frustration and annoyance. It's bad enough coming from strange people I meet while we're out and about. It's super annoying coming from other mothers I'm trying to bond with. Even worse when another black women in an Asian Black relationship makes this comment. Side note - An Asian women in an asian black relationship saying it is also bad but on a different level because their racial history with the "lighter skin" issue is comes from a different place. Argue with me about that later. Ok? 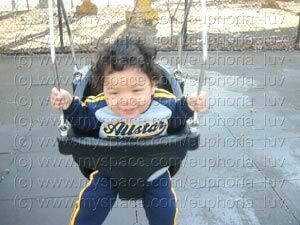 Then, for someone to say that my child, MY CHILD does not look like me...moreso another mother?! It's a rude and hurtful thing to say to another mother! What mother wants to hear her child doesn't look like her? 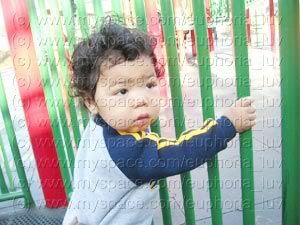 And that this racial mixture is what makes my son adorable? NOT this mother. I don't want to hear that! Now I've tried correcting some people by pointing out..."but you don't even know what his bad looks like, so how can you say this?" Or by asking, "why do you say that?" But some people are to skin struck to get the clue and only further shove their foots in their mouths. I was at a loss on how to deal with this issue. I don't want to become anti-social or a racial militant mother. I want to help people see what they're saying isn't right without brow beating them with the "you need to be more racially aware and open" points. But seeing the video lets me know...yes I can and should hold them racially responsible but keep it about the issue and don't let the convo get twisted into a personal attack. Good point. Lets see how I do going forward. Today my sister the EMT chick gave us a ride. 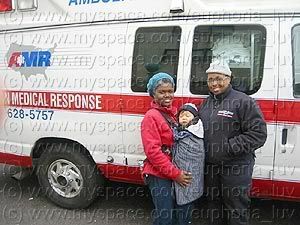 I was more excited to ride in the EMT van then Daniel was. He was bored with it. We had a great time visiting with my friend Denise today. Denise tried to talk me into leaving Daniel with her but ...no sale! Lately Daniel wants to feed himself. He's always grabbing the spoon so today I let him have one to see what he'd do. 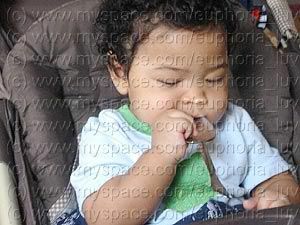 Clearly he understands the whole spoon + mouth = food concept. Today on twitter MomDot invite everyone to brag about our blogs. Well of course I had to surf over. It's true I have not updated this blog recently but I still have lots to brag about. I'm amazed anyone still vists here and leaves me comments. But I have to say, it's a great feeling to know something as simple as this blog and my kooky thoughts can have such a powerful effect on other people. That was what I wrote about during my 5 seconds of fame. I re-posted my comment below. First I love that their mini memory book for the events in my son’s life. 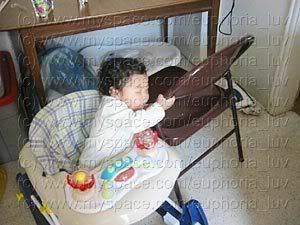 Children grow so much in the first year of their life that you can’t keep up with everything…unless you have a blog. Second, I love that visitors to my blogs form a community in some many different ways. I never thought having a biracial child would be the main connection with me and so many moms and dads. 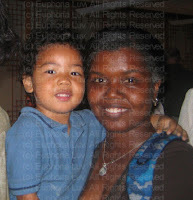 Since my son is black and asian = blasian, I have an automatic connection to those two communities. But I’m also connected to any person black, asian, white, hispanic, etc that loves children and cares about the issues that affect them. Lastly, thru my blogs I become a voice… an activist… a face for black mothers who date, marry and raise families that step outside the mainstream norm of what is expected of us. This is an invitation to participate in a research study designed to explore the inner worlds of adults with African American and Korean heritages. My name is Liz Bradshaw and I am an African American and Korean doctoral student in Counseling Psychology at Western Michigan University and this research is part of my dissertation. I am seeking potential participants at least 18 years of age with multiple heritages who have one parent who identifies as African American and another who identifies as Korean. Participation will involve being interviewed about your experiences as an individual of African American and Korean descent. By conducting this study, I hope to give voice to the stories of people of African American and Korean descent, stories that have often been silenced or neglected in the past. If you are interested in participating in this study and would like to learn more, please contact me by email (elizabeth.bradshaw@ wmich.edu) to receive additional information. Thank you for your time and consideration.